As per the provisions of Article 168 of the Constitution of India, every state has a state legislature consisting of one or two Houses. Rajasthan has a unicameral character (only Vidhan Sabha) and its legislature is known as the Rajasthan Legislative Assembly or Rajasthan Vidhan Sabha. The present Rajasthan Vidhan Sabha or the Legislative Assembly is situated in the capital city of Jaipur. 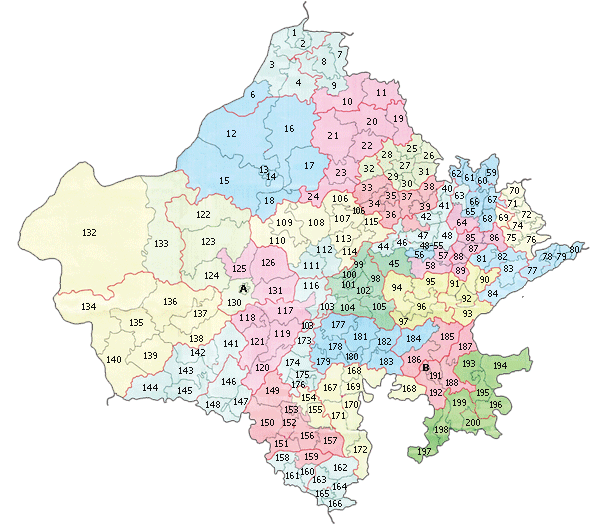 The strength of the Rajasthan Legislative Assembly which is determined by delimitation Commission, was 160 in 1952. Currently, there are a total of 200 Assembly constituencies in Rajasthan, which are represented by 200 MLAs or Members of Legislative Assembly. At present, 34 constituencies are reserved for the candidates belonging to the Scheduled castes and 25 are reserved for the candidates belonging to the Scheduled tribes. The Rajasthan Legislative Assembly has framed ‘Rules of Procedure and Conduct of Business in Rajasthan Legislative Assembly for regulating the business of the House and its Committees. They were first framed in 1956 and after many amendments, the latest Fourteenth Edition has been printed in 2014. As per the Rules, Rajasthan Legislative Assembly shall have at least three sessions in a calendar year. The business of the House is decided by the House on the recommendation of the Business Advisory Committee. Rajasthan does not have any Upper House of Vidhan Parishad. However, attempts have been made to create legislative council in the state. 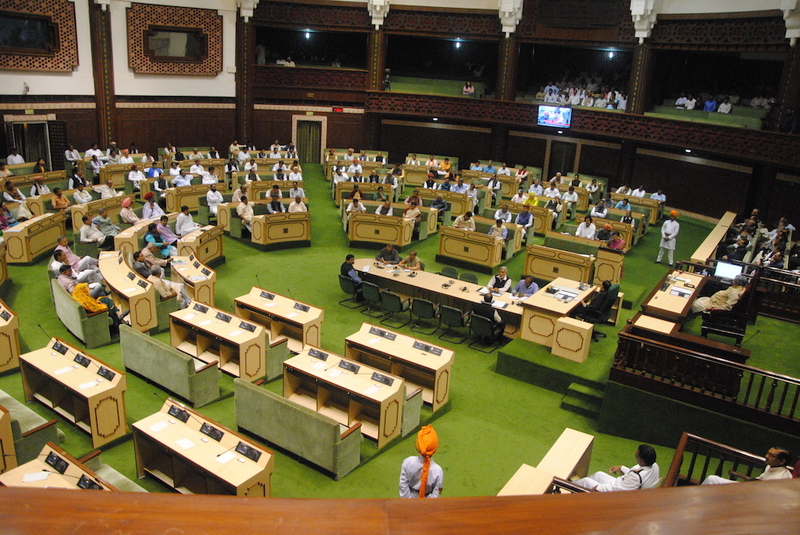 On April 18, 2012, the Rajasthan Legislative Assembly passed a resolution to create a Legislative Council for the state of Rajasthan with 66 members. The proposal was cleared by Union Cabinet and bill was tabled in Parliament but failed to pass. Since, then there have been deliberation at Union Government level, but no actions have been taken. As a result, Rajasthan is still an unicameral state.